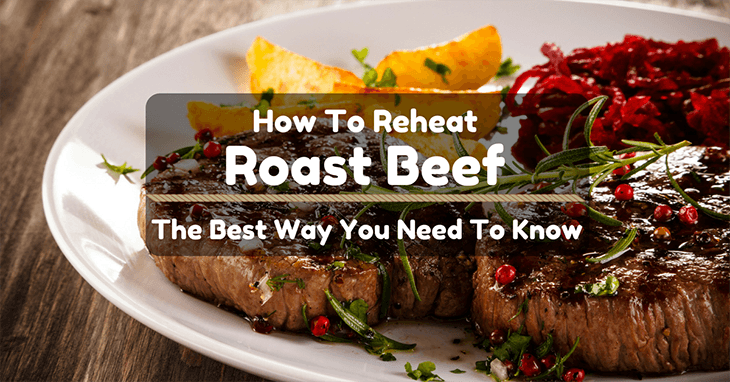 →How To Reheat Roast Beef? The Best Way You Need To Know! What Do You Do With Roast Beef Leftovers? What’s The Best Way To Store Roast Beef? How Long Will Leftover Roast Beef Last? Pretend that no one in the household ever wants another serving of it and eat it all by yourself. Hide them away where no one else can find it and have by yourself. In case someone finds out your stash, throw out a tantrum! Only if you would have it your way! But don’t do that. What you do with a few pounds of excess roast beef is you share them with other people. That’s what you’d do! I know you! Let me suggest some stuff you could do with leftover tasty meat. Wait, did I spell it right? Sorry I got a little excited! 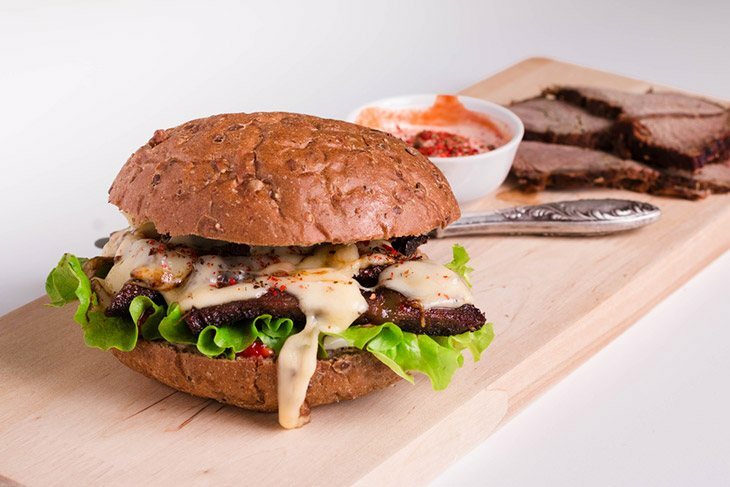 Anyhow, you can have some awesomely tasty sandwich with your leftover roast beef. Me, I would have them thinly sliced just before storing them and pack individually for convenience! Sometimes, if you are in a hurry, it may not require reheating! Just thaw it and slap it on your sandwich and you’re good. Yep, a stroganoff. Remember the thinly sliced roast beef you saved for a sandwich? You can use that for this recipe too! 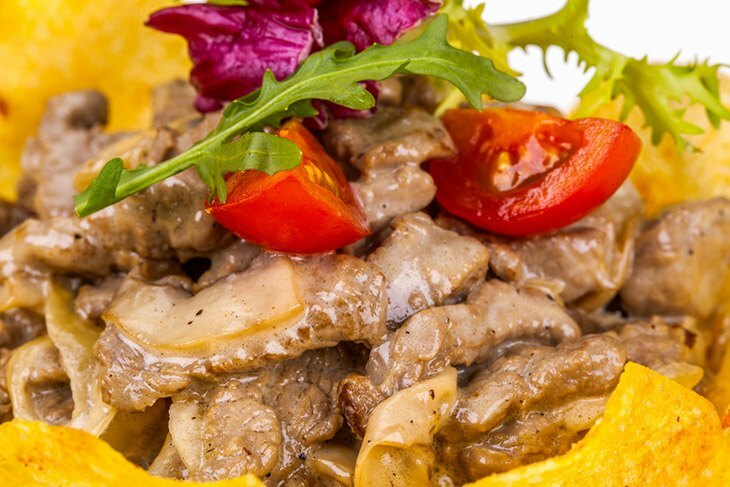 Cook amazing stroganoff with your leftover roast beef! Top it over some pasta and invite over your friends. They will surely be delighted and will be surprised to know how you revived your roast beef! You can also top it on some mashed potato and have some wine with it! Hah! Bring out the chef in you! Knead some pizza dough, smudge some marinara sauce (or whatever your favorite pizza sauce is! ), shred loads of cheese, top with some onions and olives (can’t get enough of them!). Finally, throw some thinly sliced roast beef leftovers and bake it! 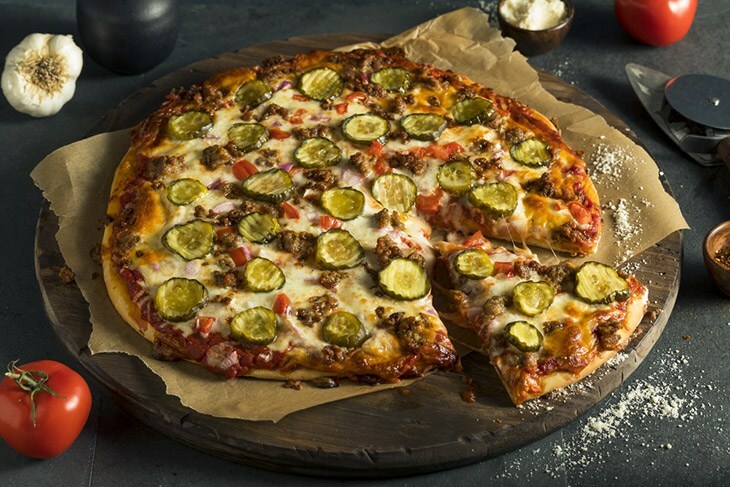 If you don’t have much time, you can skip the dough kneading step and just buy some premade pizza dough! That will cut your prep time in more than half! 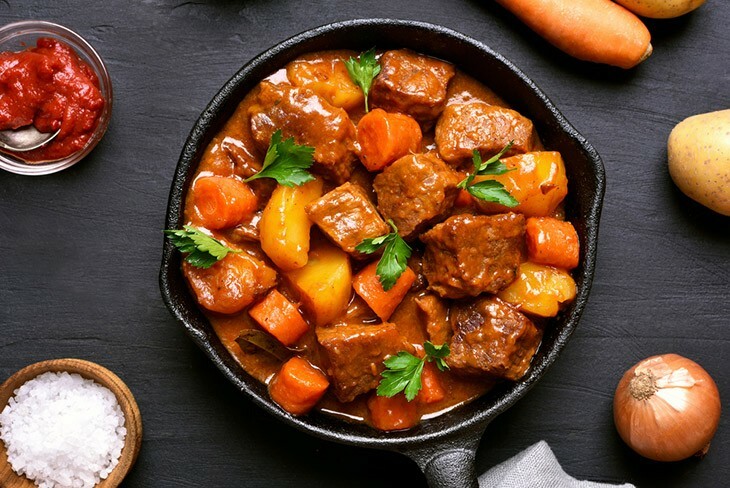 Stews get better whenever they are reheated, won’t you agree? Now, when you got yourself some leftover roast beef and decided to make some stew, you are ahead of the reheating already! It’s like your stew is reheated and has that mysterious “gets the more delicious thing when reheated!”. 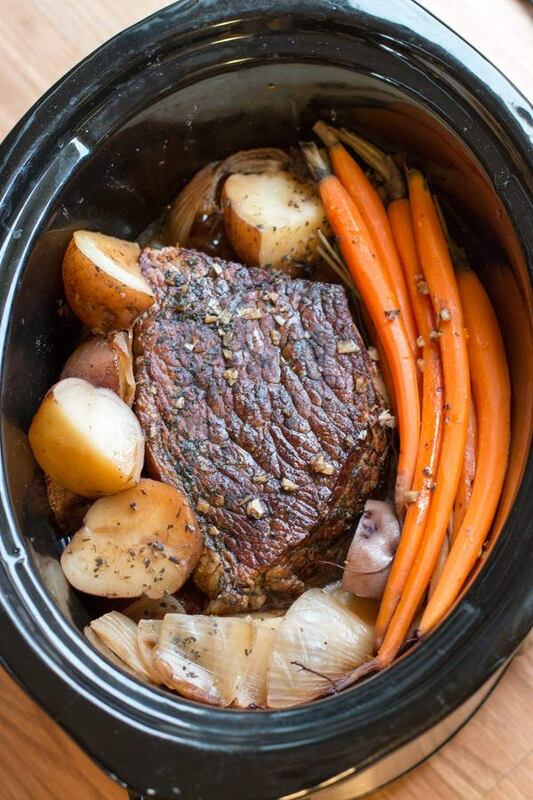 Cube your leftover roast beef and throw everything in the crockpot! Pro tip: Potatoes can give you a thicker broth and lots of onions will make your stew extra tasty! Yep, it brings back old memories! 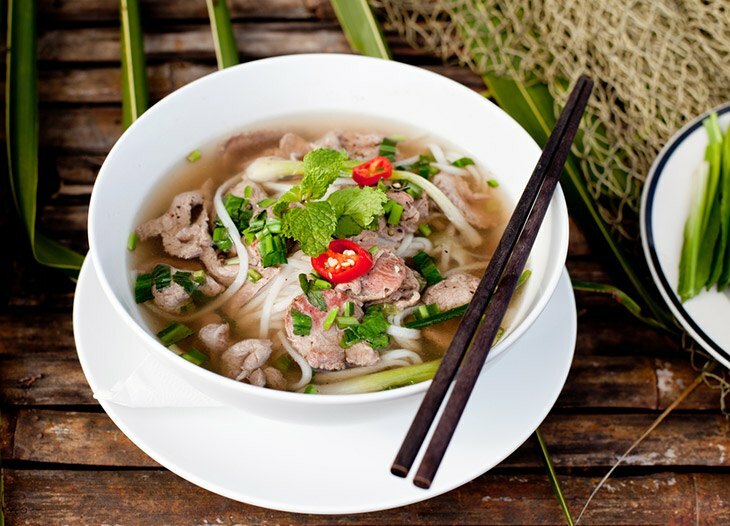 You can make some hearty beef noodle soup with your leftover roast! It will surely be yummy! Submerged your chunk of roast in a few liters of water (depending on how much soup you want! ), and let the juices mix with the broth! Add some beef broth to make it tastier! What do you know? America, meet Asia! 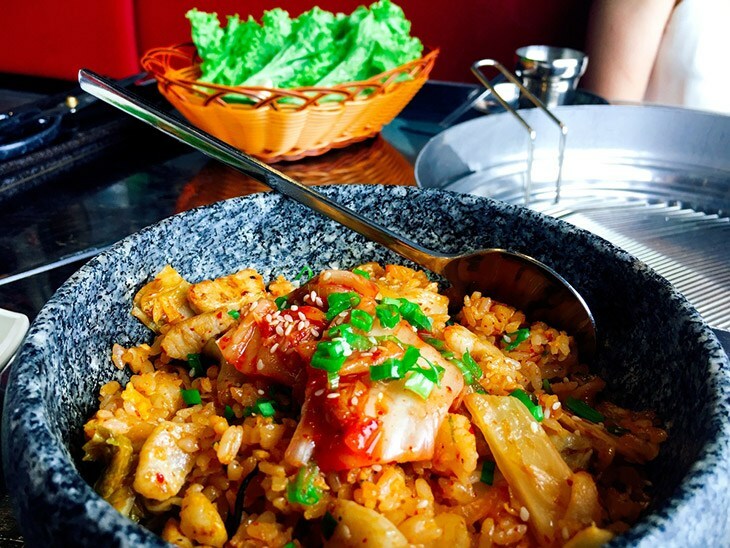 Chop some kimchi and roast beef leftover and mix them on fried rice! Tasty! Oops! I’m drooling! There are a few effective ways to store roast beef so that you can still have the closest taste and texture when you thaw it. Unfortunately, it is very difficult to have it the way you had it the first time you served it! The best way to store roast beef is inside your stomach! Unfortunately, you can’t share that afterward! You can store roast beef in the fridge. Put them in an airtight container or wrap it with two layers of tin foil so that it would not get that strange fridge taste. If you have a lot of leftover roast beef and do not plan to eat them soon, freezing them is your best choice. Pro tip: Slice your leftovers in small portions so that you would not need to thaw everything when you need a bite! The length depends on how you cooked your beef. Rare is best consumed not longer than three days. Medium well can be stored in the fridge up to a week when stored properly.If you “accidentally” have a few pounds left, it’s best to have them frozen. In the freezer, it can last a few months! There are a few ways to reheat roast beef. It gets easier if you plan to revive and use them as an ingredient in a new recipe. The problem with reheating roast beef is it loses its juiciness every time it is reheated! Here are some ways you can reheat roast beef while preserving its taste and texture. One of the simplest ways to reheat roast beef is by mixing them on other dishes. This is no problem at all. Just slice them to the right size and cook your recipe. 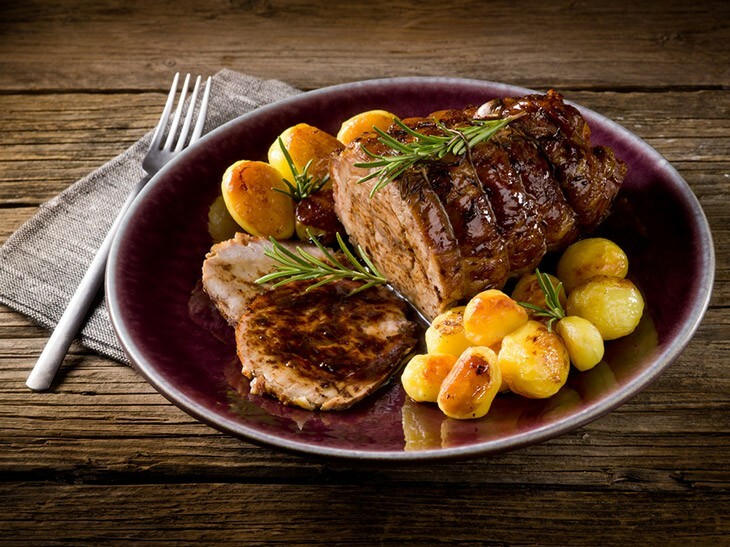 Your overall cooking time may be a little lessened because your beef is already cooked! This requires you to slice your roast about three-quarters of an inch before storing them for quicker preparation. Anyhow, this is what you do. Thaw your roast to room temperature before frying them in a pan. Fry one side for about 3 minutes over medium heat then flip it and cook for about two minutes. Don’t worry if it feels like it’s too fast. Your roast is already cooked! You just have to heat them before serving so that it’s more palatable! Expect that it will be thoroughly cooked. If you had them rare before you stored them, you would have them a little more done. The oven is another great way to reheat your roast. If you have a huge chunk left, you don’t even need to slice them! Thaw your roast to room temperature first then wrap them tightly in tin foil. Set your oven to about 350 degrees and bake for about 30 minutes (depending on the size of your leftover!). Slice, and enjoy your reheated roast beef! 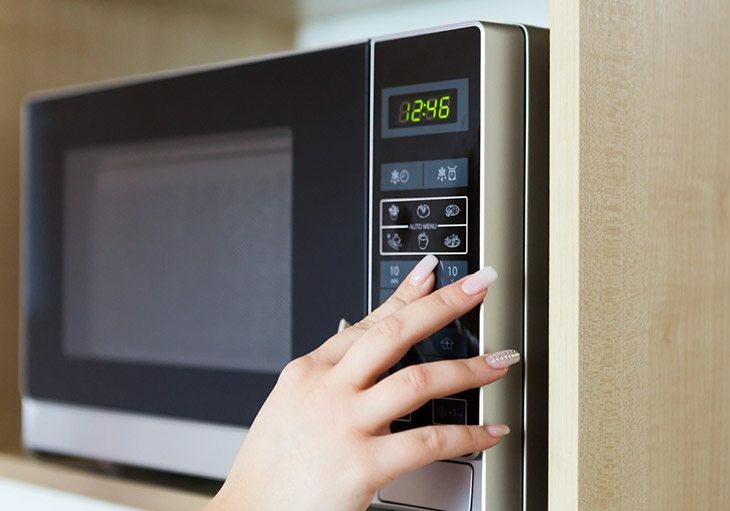 It’s also possible to use a microwave oven to reheat your roast. Unfortunately, reheating huge chunks of meat is not advisable on the microwave as you would have a cold core. Only microwave thin strips of meat! If you intend to heat some for a sandwich, heat some thin slices for about a minute and you’re done! You may not prefer the crock pot as your first option. But if you want it, you can also use it. It will take about 2-4 hours to thoroughly reheat a chunk of roast. Add half a cup of water/beef broth and half a cup of gravy to keep your roast moist and juicy. You will end up with a dried out roast if you don’t add liquids while reheating! Probably, this is the best and most awesome way to reheat roast beef and still get the same texture like you had last night! 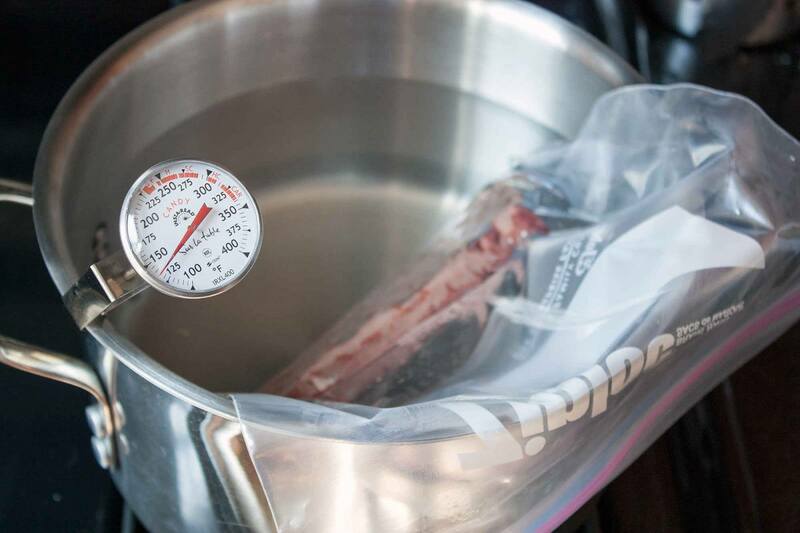 Yes, sous vide makes it possible! You don’t even need to thaw them before reheating (though thawing will shorten your sous vide reheating time). Prepare a deep pan enough to submerge your vacuum sealed meat. Using a food thermometer, bring your water to the desired temperature. It’s about 120-130 degrees F for rare, 130-135 for medium-rare, 140-150 for medium, 155-165 for medium well, and 170 above for well done. Clip the plastic on the side of the pan and make sure that the meat doesn’t touch the bottom of the pan for even reheating. 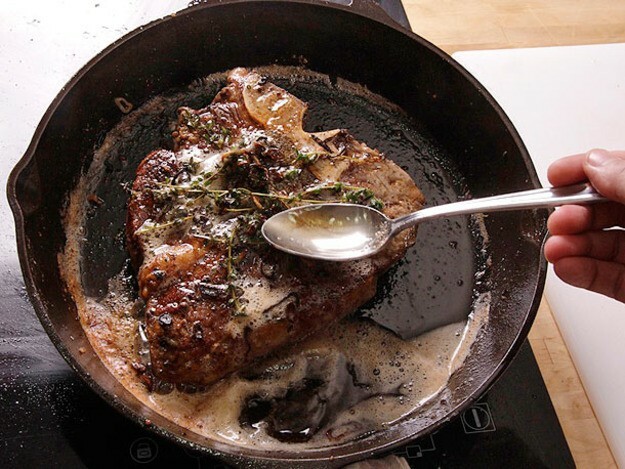 Cook for about 1 hour for every inch of meat you are reheating. Monitor and make sure that you are in the right range of heat for the doneness you like. If you will start frozen, add about an hour lead time to make sure that you are working your meat at room temperature. Serve and enjoy like how you did it last time! I hope you have chosen a way on how to reheat roast beef on your own at home! There are many ways you can do it. If you have time and patience for sous, vide, go and savor your roast beef as good as it was before you froze it! Have questions? Leave it in the comments section, and I will get back to you soon!